The author's first book, Lynnwood, was a finalist in the People's Book Prize 2013/14. “In Southampton, England, a grey, rain-filled place, the story of Felix, and Michael’s set. Repeating patterns, like grey days, the same walk through the city every morning and evening, and the sight of birds, characterize the book. What if birds were human, or human became birds? Remember the classic on Icarus and his father Daedalus, the creator of the labyrinth? 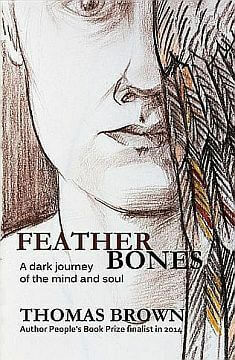 “It’s exactly this fate and circumstance that Thomas Brown as author throws his readers in while reading Featherbones. There seems no way out of this storyline. Dream and reality converge. It’s difficult to stay concentrated. Is the reference to the Titanic a clue? 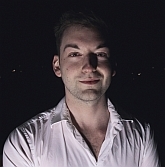 Will one of the main characters commit suicide, or turn into a bird at full moon?